Overview... Miami detective permanently decked out in a white suit over a flashy t-shirt. Along with his partner, Ricardo Tubbs, Crockett goes after the Columbian cartel and anyone else smuggling drugs and guns into 1980s Miami. And they look good doing it: driving the cars and wearing the suits seized from the drug dealers they put behind bars. Sonny Crockett's popularity ranking on CharacTour is #4083 out of 5,000+ characters. See our top-ranked characters and read their profiles. Miami Vice was an American television crime drama series produced by Michael Mann for NBC. 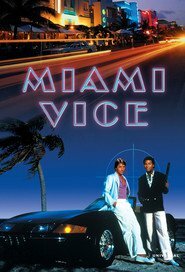 The series starred Don Johnson and Philip Michael Thomas as James "Sonny" Crockett and Ricardo "Rico" Tubbs respectively, two Metro-Dade Police Department detectives working undercover in Miami. The series ran for five seasons on NBC from 1984–1989. The USA Network later began airing reruns the next year, in 1990, and actually broadcast an originally unaired episode during its syndication run of the series on January 25, 1990. Unlike standard police procedurals, the show drew heavily upon 1980s New Wave culture and music. The show became noted for its heavy integration of music and visual effects to tell a story. It is recognized as one of the most influential television series of all time. People magazine stated that Miami Vice "was the first show to look really new and different since color TV was invented". Reruns of the series later aired on the FX from 1996–1999. Then in 2006 the cable network TV Land aired episodes for about a year. The same year the series began airing on the Sleuth network in the United States until 2008, and now episodes air on the Centric network, MBC Action in the Arab World, TRT 1 and Star TV in Turkey, Iris in Italy, Viasat TV6 in Sweden, Viasat 3+ in Denmark, TV7 in Bulgaria, TV3 in Estonia, ZDF in Germany, and 111 Hits in Australia.